This study aims to determine the development of the customer (Micro KUR and significant effect between credit amount and the interest rate on the income customers at BRI Unit Micro Kabila. Kind of research used in this study is a survey method. Data used are primary data interviews with customer respondents micro and secondary data from the BRI unit Kabila, the sampling method used was purposive sample, data collection techniques are methods of documentation and interviews. Data analysis technique used is multiple regression analysis and usingdescriptive statistics. Results from this research showed revenue that micro (Y) 63,7% total affected by credit (X1) and interest rate, while the remaining 36,3 %affected by other factors. R value of 0,798 means that income by the number of loans and interest ratest have a very strong positive relationship. T-test showed that the significant amount of credit, because the value is significantly smaller than the value 0,05 (0,000), while the interest rate effect is not real, because the value is significantly smaller than the value of 0,05 (0,874). For the development of the number of credits and the number of clients small loans (KUR) have increased and decreased each year. Abstract. Poverty and forestry has inter-connected one another. Most of the poor people live in the urban area are closely interacted with forest. This fact has been showed in some studies which are clearly stated that poor people are mostly found nearby forest area. Bukit Dua Belas national park as one of national park in Jambi province had experienced drastical forest degradation for the last 20 years. Based on the data alalysis from Citra Satelite, the total of degraded forest area is approximately 69,825 ha or in average is 3,492 ha per year. It happens because of massive encroachment which is done by the local people in a purpose to open communities’ farming. The primary objective of this research is to analyze which factors has contributed to communities’ impovorishment around TNBD. The result of this study shows that the distance of farming, size of land, the management and the status of land are the potential factor affecting the communities’ income significantly. Abstract. Dalam jangka panjang penerimaan dari migas tidak dapat diharapkan karena cadangan minyak yang semakin menipis, sehingga terjadi pemikiran mengenai implikasi negatif dari hutang luar negeri yang serius. untuk itu salah satu alternatif penggalian dana adalah sumber penerimaan domestik bagi pembiayaan pembangunanadalah sumber pembiayaan dalam negeri dapat berasal dari tabungan masyarakat. Tujuan penelitian ini adalah mengestimasi perbedaan perilaku tabungan masyarakat antar daerah di Sumatera. Pengujian hipotesis digunakan analisis regresi dengan panel data cross-section dan time series secara regional. Penelitian ini menggunakan data panel periode tahun 2002-2006. Hasil penelitian menemukan bahwa tingkat pendapatan berpengaruh negatif terhadap tabungan di Jambi, Sumatera Barat dan Sumatera Selatan. Tingkat bunga berpengaruh negatif terhadap tabungan di Jambi, Sumatera Barat dan Sumatera Selatan. Beban tanggungan penduduk usia tidak produktif berpengaruh negatif terhadap tabungan di Jambi, Sumatera Barat dan Sumatera Selatan. Inflasi berpengaruh negatif terhadap tabungan di Jambi, Sumatera Barat dan Sumatera Selatan. Tidak ada perbedaan perilaku tabungan masyarakat baik di Jambi, Sumatera Barat dan Sumatera Selatan. Abstract. The purpose of this study was : (1) To analyze the factors that affect poverty in the Jambi City during the period 2000-2011, (2) To analyze the factors causing high unemployment in the city of Jambi during the period 2000-2011, and (3) To analyze the relationship between poverty and unemployment in the city of Jambi during the period 2000-2011. The data used in this study is secondary data from the years 2000-2011. BPS data sources derived from the city of Jambi and Diskakertrans city of Jambi. Analysis tools used in this research is a method of multiple linear regression and correlation. The results showed that: (1). Simultaneously (together) variable population density, education level and the unemployment rate, and a significant positive effect on the level of poverty in the city of Jambi. While partially independent variables that significantly influence the level of education level and the level of poverty is unemployment. Variables influence population density, education level and the unemployment rate is equal to the poverty rate of 92,40 percent, (2). Simultaneously (together) variable education level and health level have positive and significant effect on the unemployment rate in the city of Jambi. While partially independent variables had significant effect on the unemployment rate in the City of Jambi is education level. Variables influence education level and health level rate is equal to the unemployment rate of 42,6 percent; (3). Levels of poverty and unemployment rate in the city of Jambi has a negative correlation with a correlation coefficient of -0.290. Abstract. This study aims to 1) To analyze the determinants that will influence the budget deficit in Tebo district budget. 2) To analyze whether there is a correlation between the budget deficit with Tebo regency economic development. 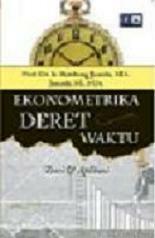 3) To analyze whether there is a correlation between the financial performance of the budget deficit with Tebo regency. The method used in this study is a secondary data analysis methods. Based on the results of testing the model regression shows the value of the F-count is high at 12 130. With an alpha of 0.05 df1 = 3, DF2 = 4 obtained F-table at 6:59. so the F-count> F-table. this indicates that the independent variables are jointly significant effect on the dependent variable, so that personnel expenditure, capital expenditure and spending on goods and services during the period 2004-2011 are jointly significant effect on the budget deficit in Tebo regency. Each there is an increase of 1 billion budget deficit, it will cause a reduction in personnel expenses amounted to 4.52 billion Tebo regency. Any increased capital expenditure budget of 1 billion budget deficit will increase by 5.01 billion. Any increased budget allocation of goods and services amounted to 1 billion, the budget deficit will increase by 8.17 billion. the greatest influence on the budget deficit from the budget allocation of goods and services. The results of the analysis of the budget deficit relationship with economic development in Tebo regency during 2006-2010 showed that the budget deficit by using a simple Pearson correlation test has a relationship of -0.07986. These results illustrate that the budget deficit has a negative relationship with economic development. The results of the analysis of the relationship with the budget deficit in the region’s financial performance during the period 2006-2010 Tebo regency showed that the budget deficit with the financial performance using tools Pearson correlation test has a relationship of -0.04703. The results illustrate that the budget deficit has a negative relationship with financial performance. Abstract. Penelitian ini bertjuan untuk menganalisis: (1) Struktur PAD dan APBD berdasarkan komposisinya, (2) Pertumbuhan PAD serta kontribusinya terhadap APBD dan (3) Kemampuan keuangan daerah Kabupaten/Kota di Provinsi Jambi dalam melaksanakan otonomi daerah.Hasil penelitian antara lain menyimpulkan bahwa komposisi PAD terbesar berasal dari penerimaan lain-lain yang sah yaitu 42,32%;, komposisi tebesar dari APBD bersumber dari dana perimbangan sebesar 83,49%. Rata-rata pertumbuhan PAD kabupaten/kota di Provinsi Jambi sebesar 18,48%; rata-rata kontribusi PAD terhadap APBD kabupaten/kota di Provinsi Jambi sebesar 6,33%. Kemampuan keuangan daerah, Kabupaten Batang Hari, Kota Jambi dan Kabupaten Sarolangun yang memiliki status kemampuan keuangan tinggi dibanding kabupaten/kota lain di Provinsi Jambi.